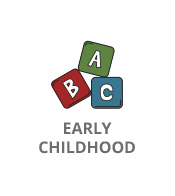 HomeStudent Academic Services & ProgramsEarly ChildhoodGoBabyGo! 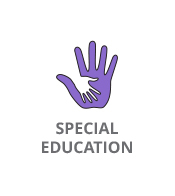 Char-Em ISD’s Early Childhood staff are taking part in a national initiative to provide mobility opportunities to children age 5 and under who have mobility challenges. 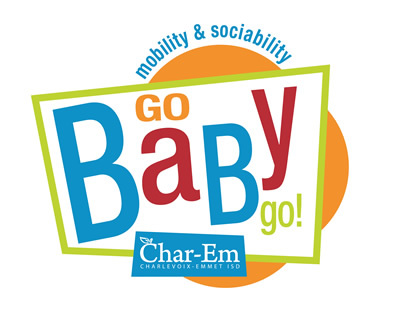 The “GoBabyGo!” program was started by the University of Delaware and now includes more than 40 partners around the U.S., including Char-Em ISD. GoBabyGo! 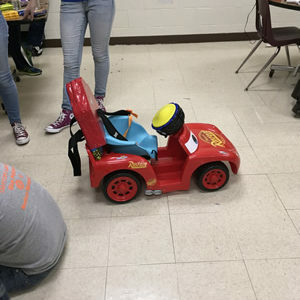 modifies commercial toy ride-on cars to provide mobility and sociability for children, by adapting the cars to address each child’s unique needs and abilities. 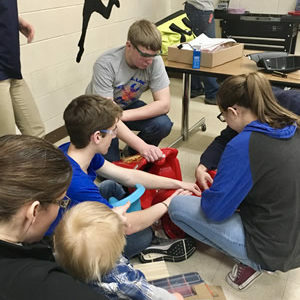 The Petoskey High School Robotics Team, the Paladins , are partnering with Char-Em in this effort. The Paladins work with parents and Char-Em staff in the design, engineering and modification of the vehicles. More information about GoBabyGo! can be found on the University of Delaware web site . 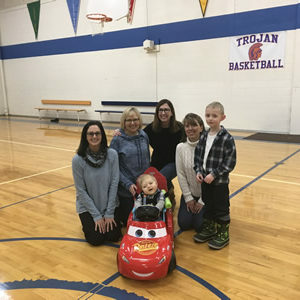 CENTRAL LAKE – Early Saturday mornings are typically fairly quiet in a high school gymnasium, but that was not the case on Dec. 16, 2017, when approximately 30 students, teachers, parents and volunteers came together at Central Lake High School to help a special little boy get his own set of wheels. The effort was part of the Charlevoix-Emmet Intermediate School District’s involvement with the national Go Baby Go! 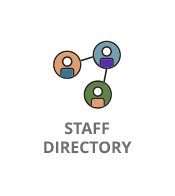 program, launched originally by the University of Delaware. 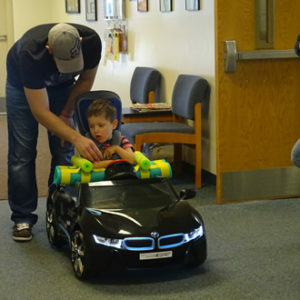 It now includes dozens of partners around the U.S., like Char-Em, and hundreds of volunteers who modify and customize vehicles for young children with mobility challenges. 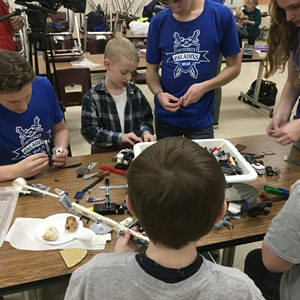 This is the second year that Char-Em ISD has led a build for children under age 5, and the second year also that the Petoskey High School Paladins robotics team has volunteered its time and talents to help. 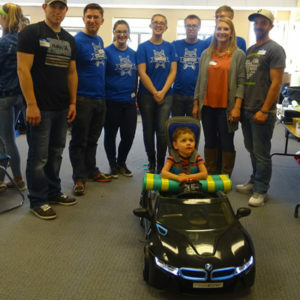 On Saturday, the robotics students, ISD staff and volunteers began customizing a small toy car to help 21-month-old Jeremiah Nelson, of Central Lake, be able to motor himself around for the first time. 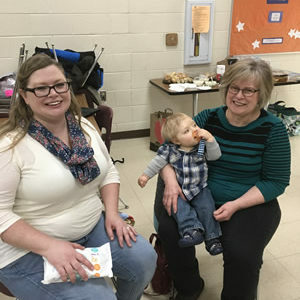 Jeremiah was born with spina bifida, which means he is unable to crawl or walk, and has limited mobility on his right side, said his mom, Danielle. 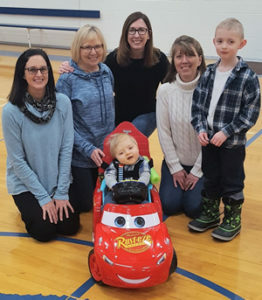 For Jeremiah, that freedom was expressed through a huge smile after the four-hour project was completed and he took off for the first time in his customized Lightning McQueen. 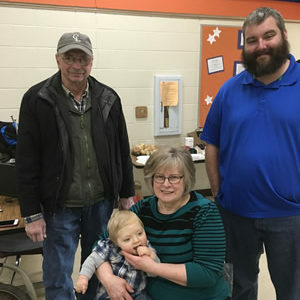 He and his mom and dad, Danielle and Stacy Nelson, and older brother, Samuel, were on hand for the build as the students assessed his needs while they built the car specifically for him. 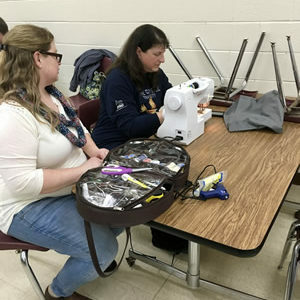 Mary Jean Meyerson, one of two coaches for the Petoskey robotics program, said her team was thrilled to bring in the Central Lake students and introduce Go Baby Go to them, with hopes of helping even more children in the future. 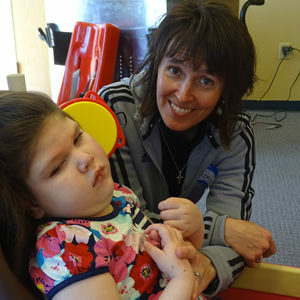 “The Petoskey Paladins started working with Go Baby Go last spring after being contacted by Char-Em ISD. 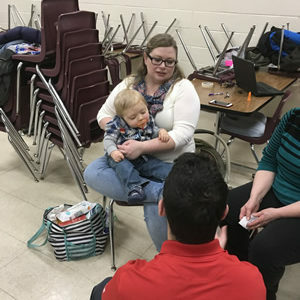 Once the students learned what a difference a Go Baby Go car can make in a special needs child’s life, they couldn’t wait to get started,” Meyerson said. 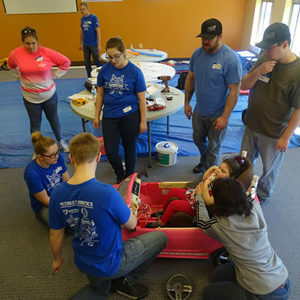 “Through our partnership with Char-Em ISD, the Paladins provide the hands-on mechanical and electrical skills needed to modify the cars, while working with the families and children to make sure that the cars are optimized for each child. Central Lake robotics team mentor Dave Hickman says his team builds robots regularly, but this project was unlike any other. The students likewise had powerful reactions to helping Jeremiah. For Jeremiah’s parents, the build for their son was especially meaningful. The students have already started talking about ways to build Jeremiah’s next car to help him get around easier as he grows. 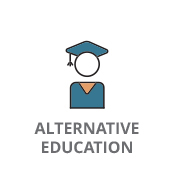 That is welcomed news to Char-Em ISD’s administrators, who see much value in the program as part of the services provided to districts and families. 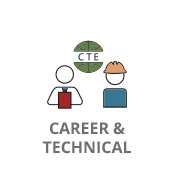 To watch video from the build, visit 7&4 News and 9&10 News coverage of the build and visit the Char-Em ISD YouTube channel .